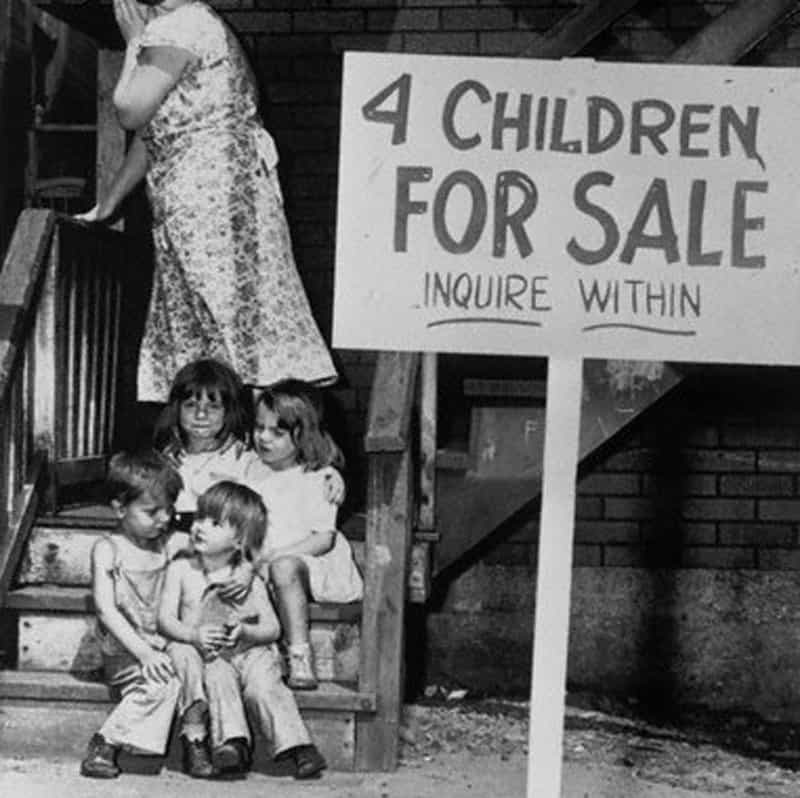 A poor mother hides her face in shame after putting her children up for sale in Chicago. 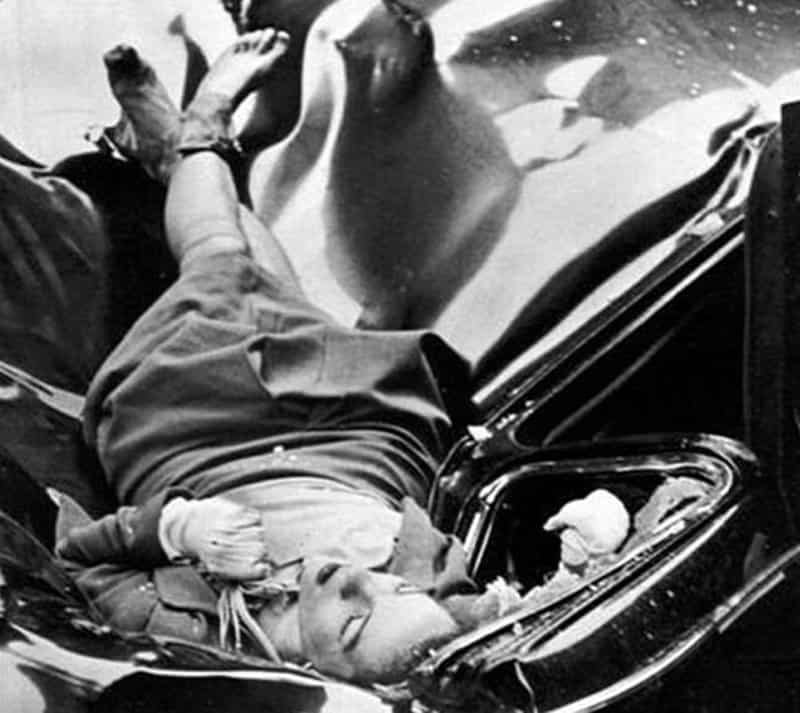 23 year old Evelyn McHale leapt to her death from an 83rd floor observation deck of the Empire State Building on May 1st, 1947. She landed on top of a United Nations limousine. 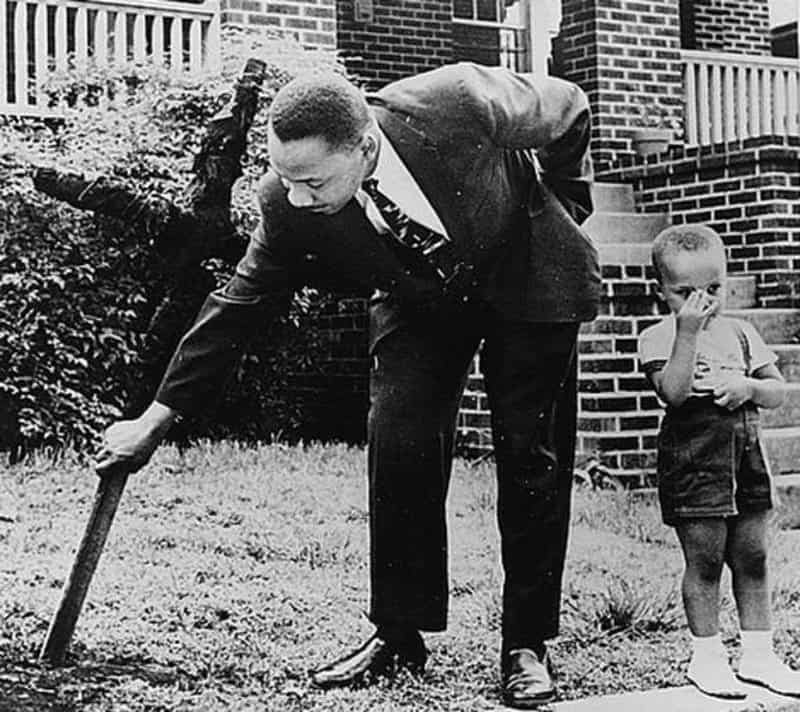 Martin Luther King Jr. with his son by his side removing a burned cross from his front yard in 1960. The burned cross believed to have been left by the K.K.K. 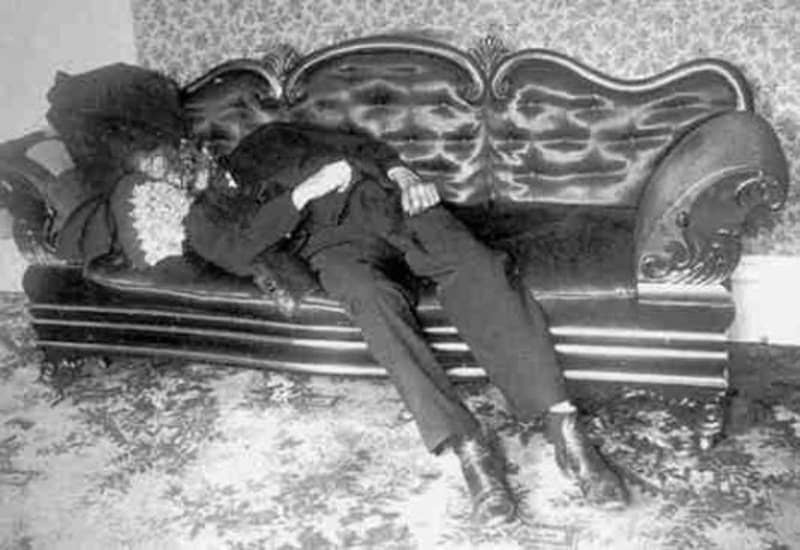 was unfortunately a regular assault for the King family. 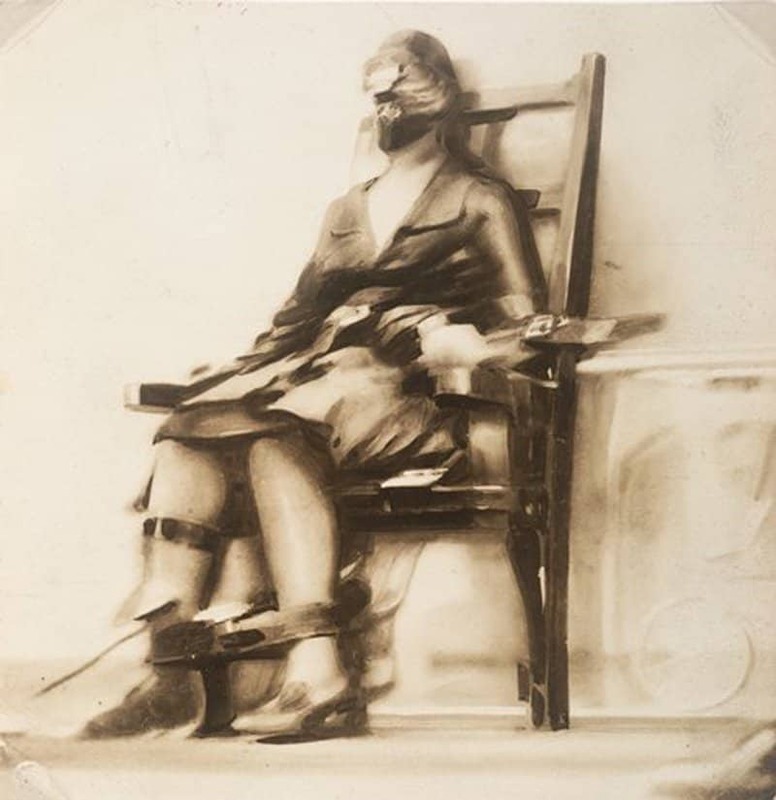 Photo taken of a patient by George Georgiou who worked in Kosovo at a Serbian Psychiatric Hospital. 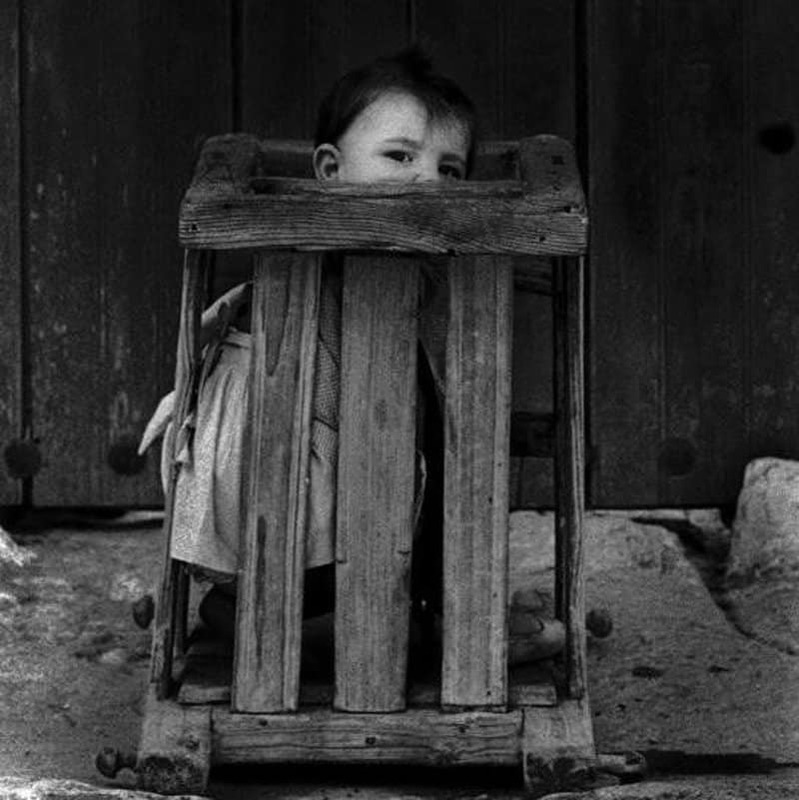 A picture taken of a toddler believed to be dangerous, in a Cuenca, Spain, Insane asylum. 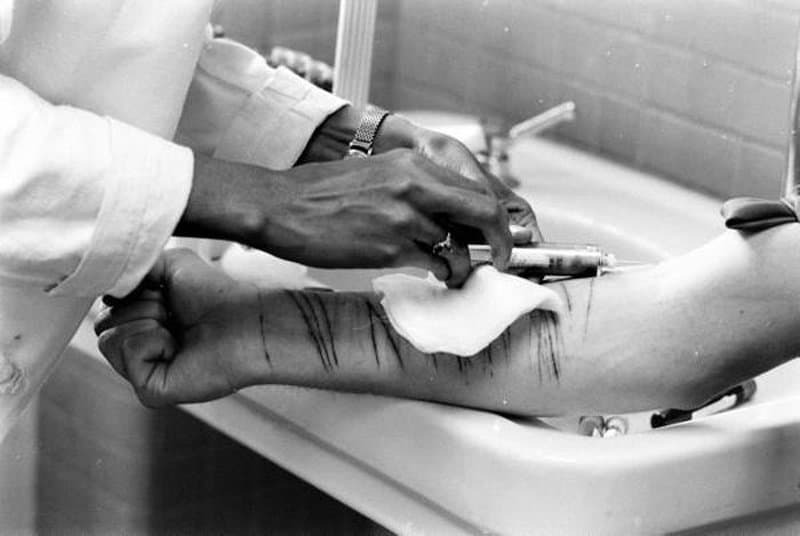 Doctors sedating a self harm patient in an infirmary circa 1964. 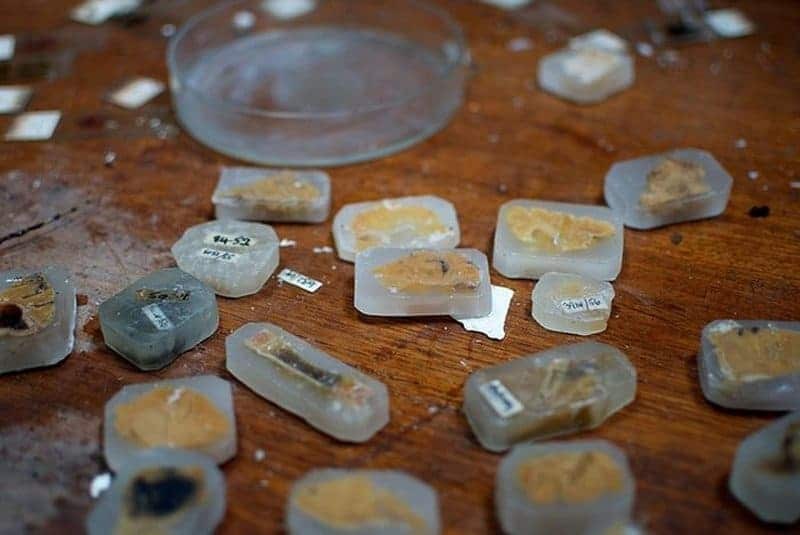 Sections of brain encased in wax at the West Park Mental Hospital Mortuary. 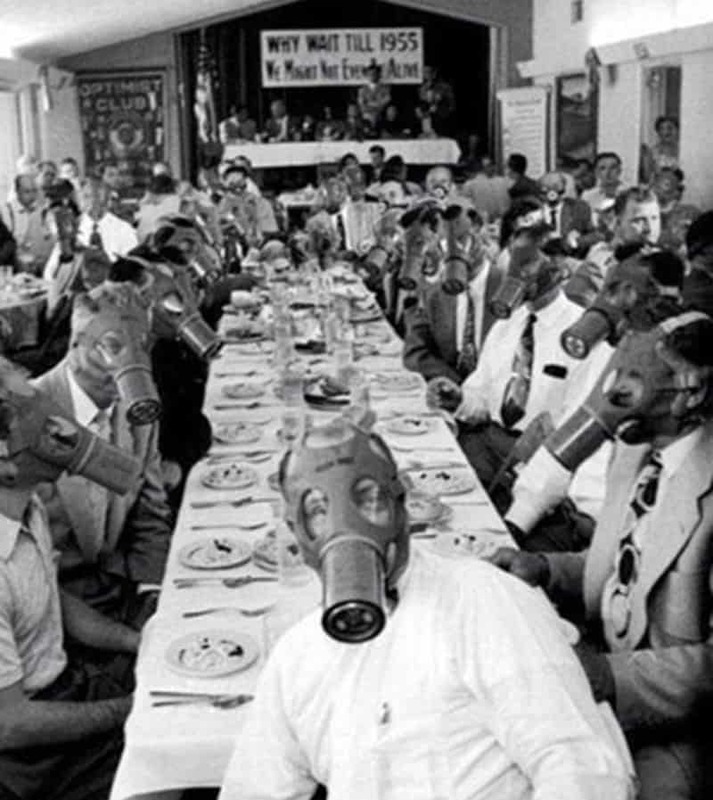 Doctors believed that this was crucial for developing cures. 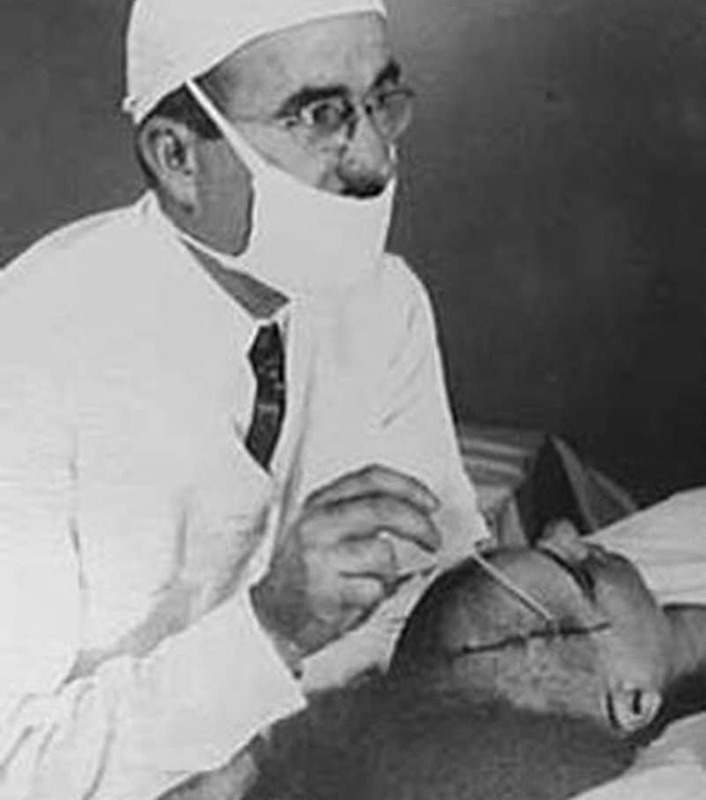 Dr. Freeman invented lobotomies at Sunland Asylum. 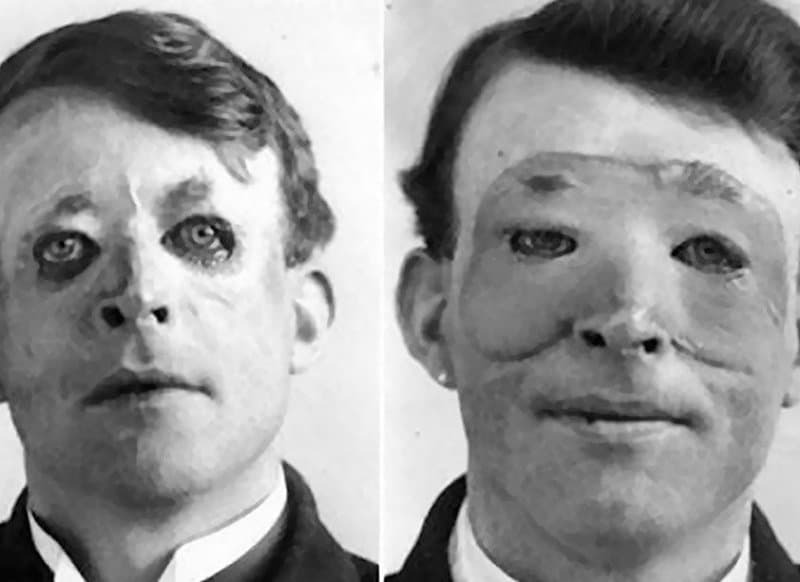 The procedure turned most so-called problematic patients into zombies. 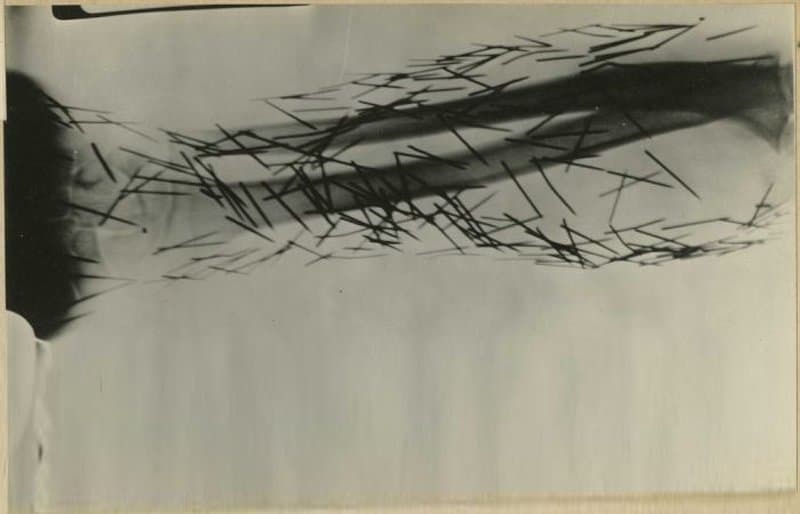 An x-ray shows dozens of needles driven into the flesh by a self-harming patient. 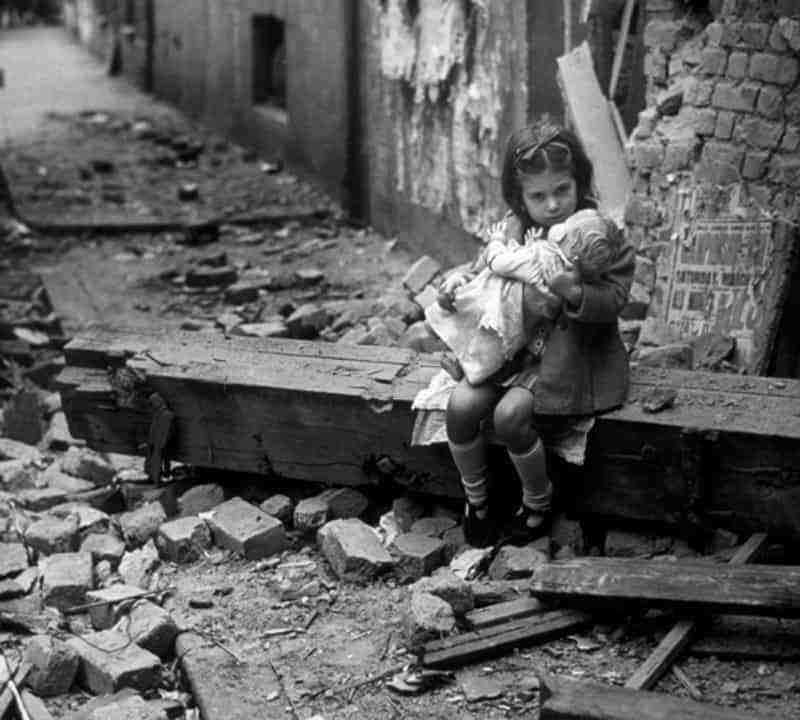 A little girl comforts her doll as well as herself in the ruins of her bomb-damaged home in London, 1940. 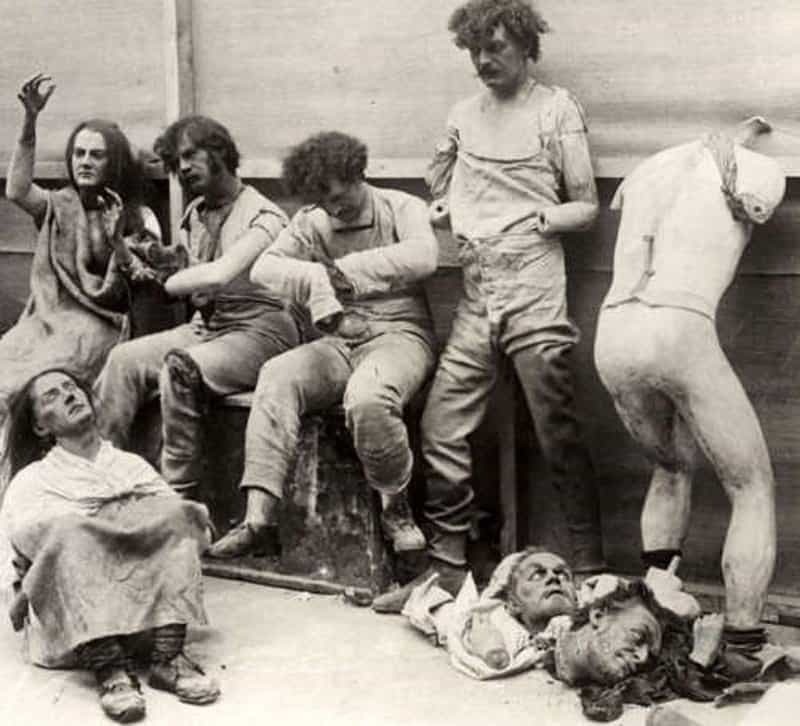 Very realistic looking melted and damaged mannequins after a fire at Madam Tussaud’s Wax Museum in London in 1930. 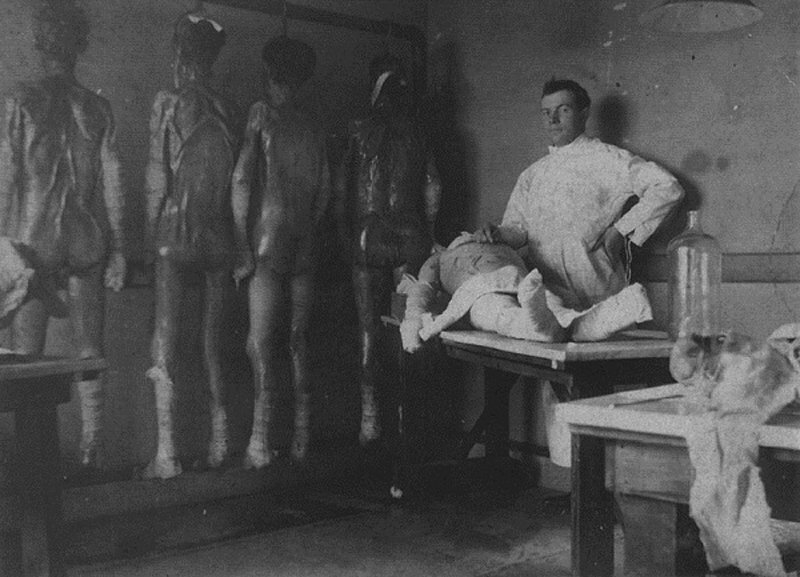 Anatomical studies were in vogue in Europe during the 18th and 19th centuries, but there was not enough supply of corpses to dissect. 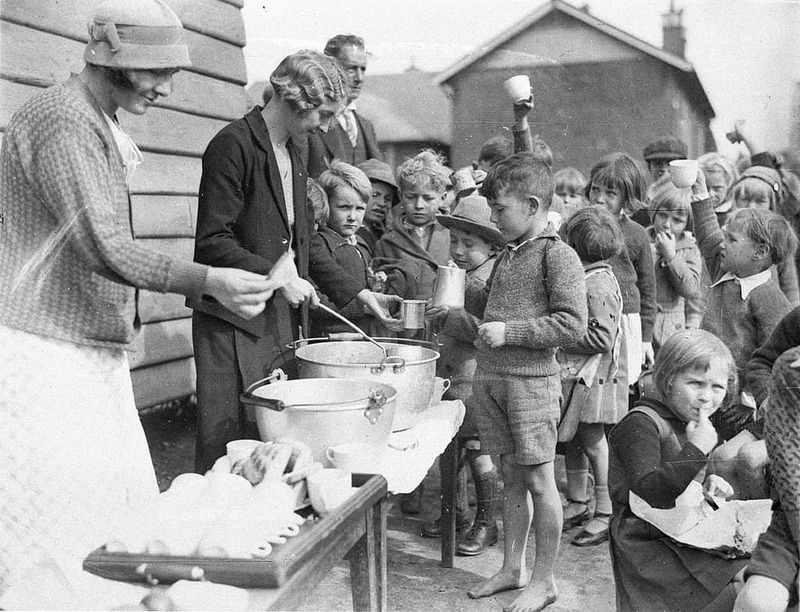 School children line up for free issue of soup and a slice of bread during the Great Depression. 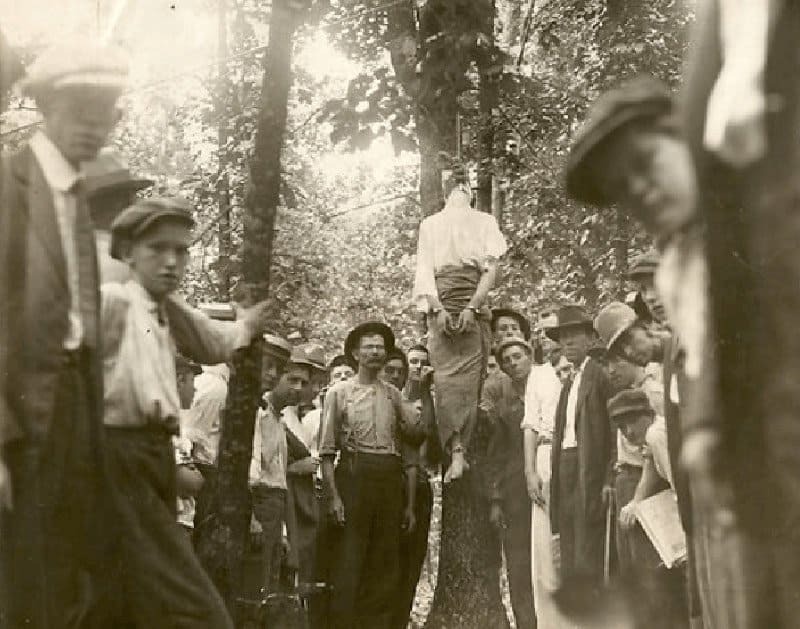 One of the most famous lynchings ever documented. 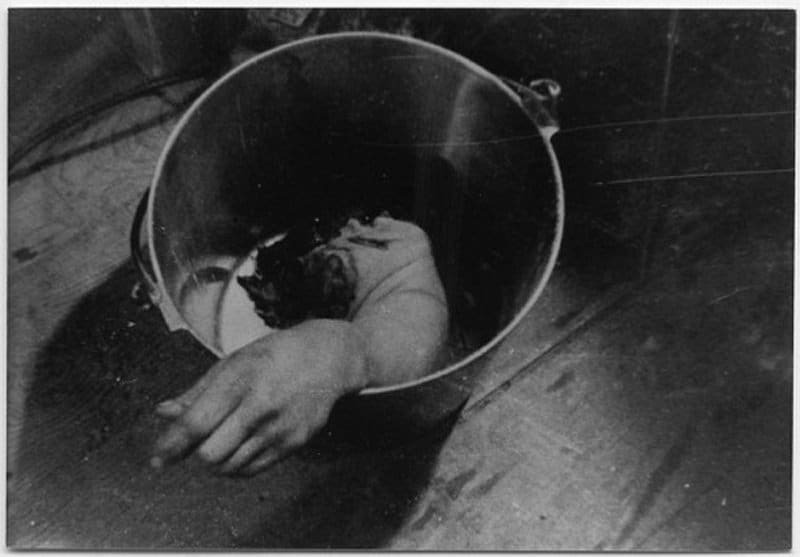 Not because of the victim but because this photo was made and marketed as a popular postcard. 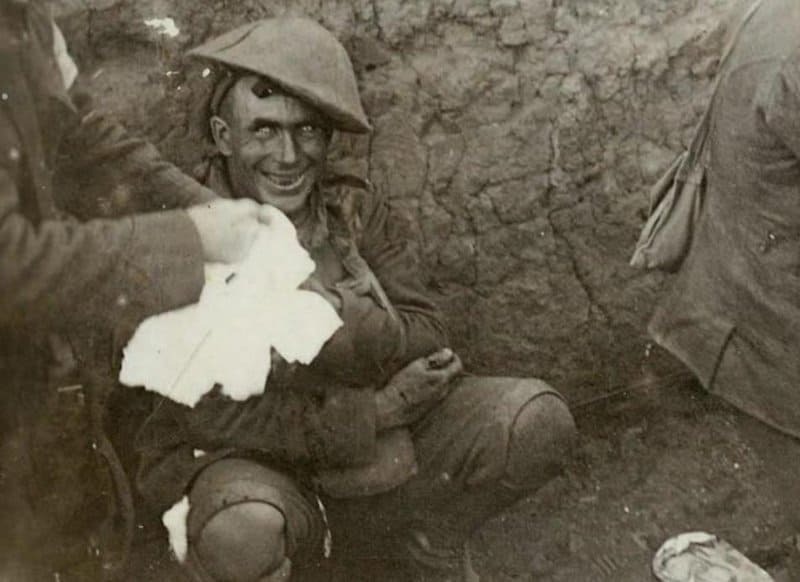 This soldier is suffering from the horrible effects of war on the mind. He is oblivious of his wounds and surroundings. We now know of this illness as Post Traumatic Stress Disorder.